AV Shield – Round 5 Report. A big Thank You to all the athletes, coaches and parents who helped out on Sat. Without your help, our Shield events just wouldn’t happen. With AV CEO, Glenn Turnor present at Williamstown, it was important for us to show that Essendon pulls its weight. Wins to FOP, W14,M14,M40 and (finally) MOP as well as 2nds to our other teams. With the exception of the MOP team, we are well placed to take all other teams to Lakeside for the Shield Final on Feb 23. Our M16 team is in a tight battle with WES and KSB and needs to win the next few rounds to secure a top 2 finish. Chris Mitrevski (100m in 10.93 486points) and Chris Lim (400m in 52.36s) had their first hit outs for the season and we welcomed new members, twins Sebastian and Max Carta, who both impressed in the long jump. Some notable performances: Dominic Hoskins 400m PB of 49.34s. He managed to put away an 800gm steak afterwards! Emily Portaro (season best long jump of 5.51m and 490 points), Liselle Aitkin (1500m 4:58.1 413 points). 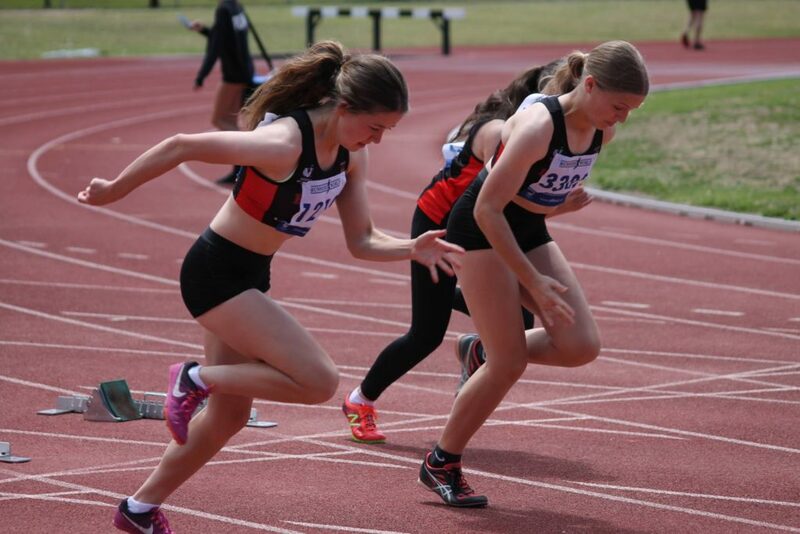 Others to top their age group were Faith Villi (shot put 11.47m 446 points – the 4th time Faith has topped the F14 team), Maeve Bousie (F16 high jump 1.60m, 458 points), Kevin Healy (M14, hammer, 415 points), Emmanuel Villi (M16, discus 34.14m, 342 points), Aagaash Murugathas (M18 discus 35.15m, 417 points) and Travis Wilson M40 discus 36.27m, 467 points). Those athletes who racked up the most points in each group were: F14, Faith Villi (1117 points), F16 Emily Newtron (830 points), F18 Maeve Bousie (816 points), FOP Joanna Margiolis (6 events plus a relay for 1365 points), M14 Dash Newton (721 points), M16 Christian Knox ((704 points, helped at long jump and got a 10 sec PB 1500m), M18 Ethan Williams (449 points), MOP Danny Hawkesworth (1319 points). Entries are open for Round 6 and field events are filling fast!